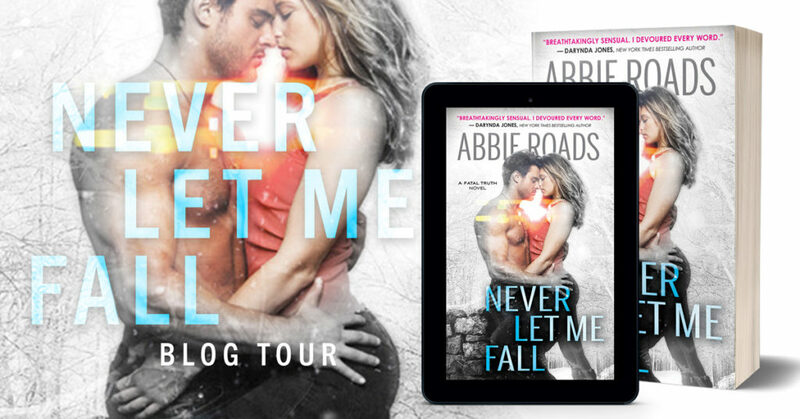 Today is my turn in the blog tour for NEVER LET ME FALL by Abbie Roads. The third book of her Fatal Dreams Series and available for purchase on all retail outlets! Please note: This post DOES NOT CONTAIN any affiliate links, though you will find some links to certain bookshops at the end of this post. If you don´t know the author or her work yet, I suggest you go and get her books ASAP. Especially if you are a fan of the dark contemporary romance genre with a hint of the paranormal. Abbie Roads doesn´t write in the way other authors do. But more to that a bit later. As I said above. 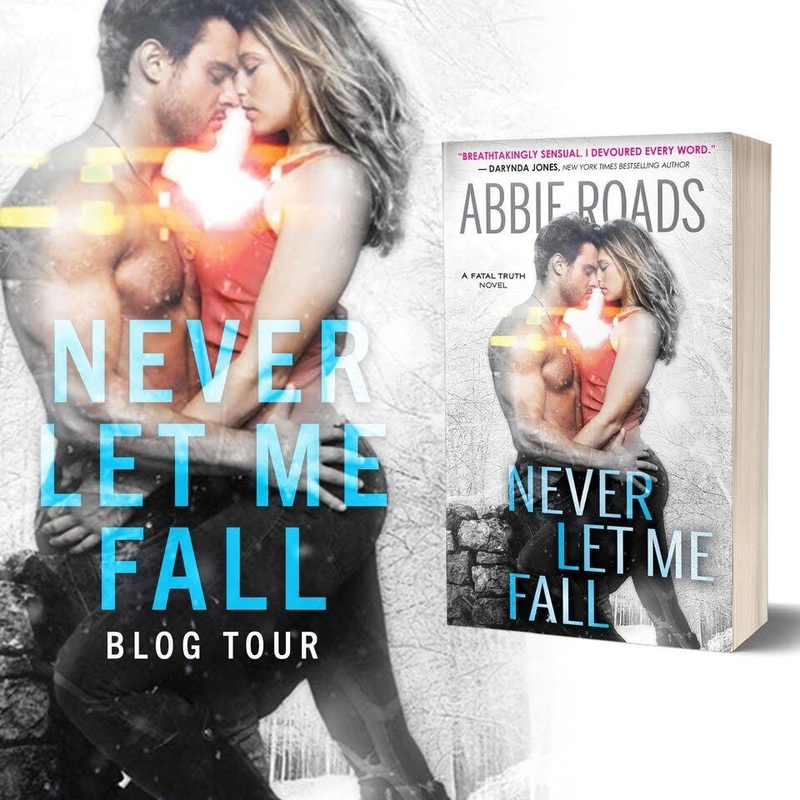 Abbie Roads writing style is different from the one, other authors have. Maybe it is because she works in her day job as a mental health counselor and listens to things you don´t get to hear elsewhere. And the fact, that no matter what she tries and how hard she tries, she ends up writing about dark, haunted souls who have a huge portion of a good heart while trying to do something good in their life, is what impresses me the most. 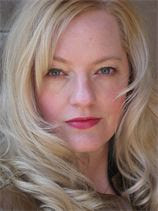 That makes her authentic and that is something, every author should be. Then he encounters Helena Grayse, and everything changes. She brings vibrant color to his world, and he brings acceptance and belief to hers. But Helena's past is quickly catching up with her, and Thomas is in the crosshairs. As an enemy hidden in plain sight threatens their every move, they'll have to rely on their love to beat the darkness. I know, without having read Never Let Me Fall yet, that this book will be a good one. Sure, there will be some very dark moments in it, and I will find a captivating tone and plot that will have one way or the other some sort of impact on me. No matter which of her books I´ve read in the past, I always felt deeply touched by what I´ve just had read and had literally to take a moment to get myself together again. Her books are nothing I call an easy read. There is always a haunted soul, some sort of abuse her figures had to endure in their past and none of her characters would say that they´ve had an easy life. Easy in the meaning of loving parents, an intact home and no worries whatsoever. They all know pain only too well, but still, they do some good through their work. They are not hopeless or desperate. And that is, what I love about her books. As dark and as emotional they can be, you know that at the end of the novel there is hope and a light. She dropped her arms from their defensive position. Even though it was dark, starlight reflected off the snow, providing enough illumination for her to see him. His face was ravaged with some emotion she couldn’t name. The scar on his cheek blazed bright, somehow looking painful. There were no words to utter, so she cupped his damaged cheek. He sucked in a breath as if her touch pained him, but when she tried to withdraw, he grabbed her wrist and held it in place. He wanted her skin on his. She nodded, couldn’t help it. Her body had been screaming that same message thirty seconds after she’d walked out the hospital doors. He grabbed her face in his hands. His fingers warm and rough and perfect against her skin. The world fell away, leaving only him and her. He stared into her. Warming her from the inside out. She no longer felt the coldness of the snow against her backside. All she could feel was him. Inside her. Around her. Over her. He was the air she breathed. The heartbeat in her chest. He was her whole world. And she never wanted this impossible moment to end. She wanted to stay right here. Right now. Forever. Her ears heard his words, but her brain had a hard time translating them. Because I’m Helena Grayse. She slammed her eyes closed. “Stop that.” The irritation in his tone startled her eyes open. “Stop hiding from me.” His expression was tense, but one thing didn’t change—his kind eyes. “Good God. 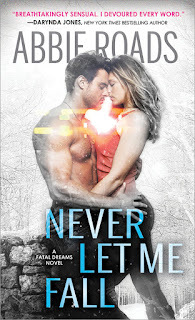 You’ve got to be freezing to death.” He moved away from her and stood, then grabbed her hands and pulled her to standing. He took off his coat and placed it over her shoulders. The inside warmth soothed her cold skin, and his scent rose up, surrounding her like a hug. He helped her thread her arms through the sleeves and then zipped the coat up under her chin. The backs of her eyes burned, and she felt the beginning of tears forming. Damn it. She wasn’t going to cry every time he was nice to her. That was just stupid. Stupid. Stupid. “Come on. Let’s get you back to the house and get you warmed up.” He held out his hand in invitation, giving her the opportunity to decide her fate. Her feet shackled her in place. She shouldn’t go with him. She should follow her plan and go find a room for the night. She squeezed her hand holding the ziplock bag, just to make sure she hadn’t dropped it. The more time she spent with him, the harder it was gonna be when he found out her real identity. All he had to do was peek at her ID card. Logic dictated she walk away. Her soul told her to stay. She reached out to him. He turned her hand over and examined the gash that had been there just yesterday but had since healed. She’d always been a fast healer, but even for her, that was record time. His gaze flicked up to her eyes and he smiled, an upturning of the lips that contained satisfaction and truth and happiness. The scar on his cheek completed him, making him more breathtaking, in the same way, that a flower’s delicate imperfections only made it lovelier. Together, they trudged through the snow toward the house. Winter didn’t seem quite so cold with him holding her hand. His skin against hers infused her with a heat that traveled up her arm, across her shoulders, and down into her belly, causing warm tingles of arousal to stir. She glanced at him out of the corner of her eye to see if she affected him the same way he affected her. He didn’t seem fazed by the chill temperatures. Not at all. In fact, he acted as if they were out for a stroll on a pleasant spring evening. They broke through the forest and started across the lawn, following a line of tracks that led to his back door. “I told her—my sister and her husband—about you. They were excited.” The corner of his mouth tilted upward. Her mouth went dry, and a stone lodged itself in her throat. Denial looked exactly like this. It looked like a woman and man holding hands while they walked in the snow. It looked like everything was all right on the surface. But underneath…it was all a lie. A lie that had started with him accidentally calling her Helen. A lie she’d perpetuated because she’d never corrected him. She thought about yanking her hand from his and running, but he would catch her and demand to know the reason. Ugh… How did she go from her plan of getting a hotel room for the night to deciding to go back home with him? She was powerless to resist temptation. If you like, you can participate in her Rafflecopter GIVEAWAY*. 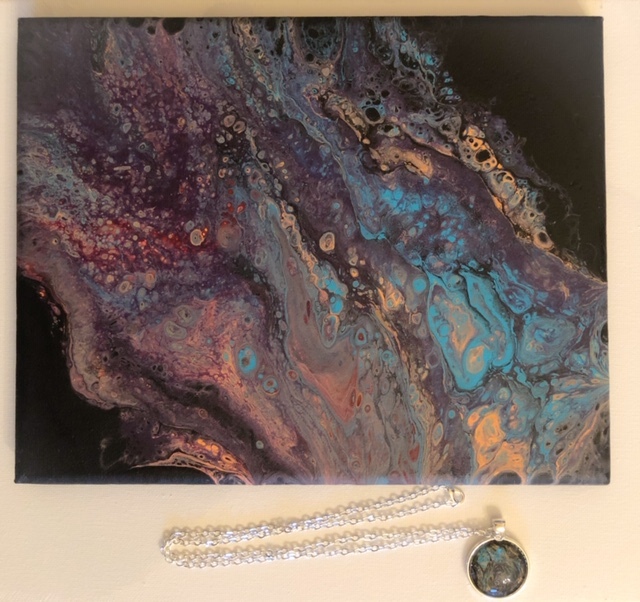 A $10 Amazon Gift Card, a Painting by Abbie and a Necklace are up for grabs. Good luck! 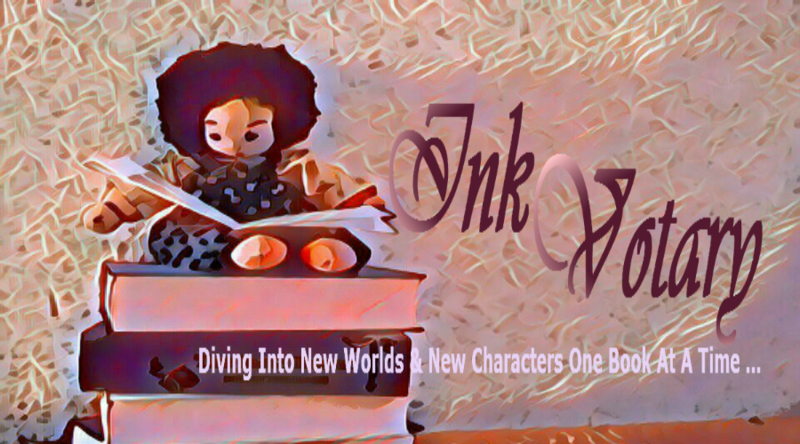 *Please note, this giveaway is not sponsored, administered or endorsed by Inkvotary.